The organization of the Siberian Branch of the Academy of Medical Sciences was historically motivated by the establishment of powerful territorial production complexes in the regions of Siberia, the North, the Far East, and Kazakhstan in the 1950s–1960s. The intensive industrial development led to the rapid growth in free migration and the population size in the East of the country. Medical scientists of Siberia had to address a wide range of issues relating to the protection of public health in the region. The first major problem was the adaptation of young migrants in the new climatic and geographical conditions. The second key issue was to mitigate the negative effect of urbanization on various factors (ecological, climatic, geographic, industrial, social, etc.) undermining the health of the present and future generations. The third problem was connected with the urbanization effect on the health of indigenous peoples and minorities inhabiting Siberia, the Far East, and the Far North. In the late 1960s, there already was a well-developed network of medical universities and research institutes set up by the RSFSR Ministry of Health, which conducted research on various problems of medicine and public health. In addition, extensive investigations into several major medical-biological problems related to the influence of various factors of internal and external environment on the physiological functions of the body were under way at the institutes of the Siberian Branch of the USSR Academy of Sciences. At the same time, the research teams lacked coordination; their studies were often duplicated and had insufficient material and technical base, which prevented them from properly addressing crucial medical, biological, and health issues arising in Siberia, the Far East, and the Far North. The situation called for coordination and long-term planning of medical and medical-biological investigations into the problems of regional pathology, human adaptation, and acclimatization in the country's northern and eastern territories. On July 2, 1968, a group of medical scientists of West Siberia submitted to V. D. Timakov, Full Member of the USSR Academy of Medical Sciences (AMS), a covering note with a proposal for establishing the USSR AMS subdivisions: first – in Novosibirsk, in close collaboration with the institutes of the Siberian Branch of the USSR Academy of Sciences, and their subsequent deployment in the major centers of the Asian part of the country. The proposal was supported by the leading scientists of the SB USSR AS - Full members of RAMS M. A. Lavrentyev, G. I. Budker, Corresponding Members D. K. Belyaev, A.A.Lyapunov, and others. In June 1969, in order to promote the scientific research of mechanisms underlying human adaptation and disadaptation in various climatic, geographical, and working conditions in Siberia, the Far East and Far North, the Presidium of the USSR Academy of Sciences set up a task team headed by V. P. Kaznacheyev, Corresponding Member of the USSR Academy of Medical Sciences. Eminent Soviet scholars and organizers of the medical science, such as Full members of RAMS B. V. Petrovskii, V. D. Timakov, V. V. Parin, M. A. Lavrentyev, the Head of the Siberian Branch of the USSR Academy of Sciences, and Academician V. A. Trapeznikov, assured the USSR government that it was feasible to set up a Siberian regional scientific center –a division of the USSR Academy of Medical Sciences. In accordance with the resolution adopted by the USSR Council of Ministers as of May 6, 1970, the Resolution of the State Committee of the USSR Council of Ministers on Science and Technology as of August 4, 1970, by the order of the Minister of Health of the USSR no. 545 of August 10, 1970 and by the Act of the Presidium of the USSR Academy of Medical Sciences the Siberian Branch of the USSR Academy of Medical Science (SBMS) of the USSR together with the Institute of Clinical and Experimental Medicine (ICEM) were established in Novosibirsk in September 1970, –are created in Novosibirsk. V. P. Kaznacheev. Development of socio-hygienic and general hygienic guidelines for optimizing the working and living conditions, and the prevention of occupational diseases in the areas of Siberia, the Far North and the Far East, taking into account the prospects of development of new industries in the national economy. Organizing a wide range of scientific studies from fundamentals of human life through the development of applications to the introduction of new methods in health care and the diagnosis, treatment and prevention, new drugs and medical devices. In the spring of 1973, the construction of the Novosibirsk Research Center of the Siberian Department of the Academy of Medical Science began from clearing felling for the access road to the future cluster of institutes. In 1973, the Research Laboratory of Polar Medicine was opened in Norilsk. The Institute of Physiology was reassigned from the Siberian Branch of the USSR Academy of Sciences in Novosibirsk to the AMS branch. In the early years of its establishment, the research carried out by the Branch was centered around the problems of adaptation of the incoming population to harsh climatic and operating conditions, and the adjustment of indigenous population of Siberia to environmental conditions changed as a result of urbanization. For a comprehensive and systematic solution of these problems, a comprehensive research program "Human Adaptation," was developed in the Siberian Branch (chaired by Academician V.P.Kaznacheev, full member of the Academy of Medical Sciences), which included a large-scale comprehensive research in a variety of climatic and geographical and industrial zones at three main levels: socio-hygienic, population and biological, and organismic. On May 28, 1975, the Presidium of the USSR AMS again considered the organization and development of the second turn of the institutions of the Siberian Branch of the USSR AMS. The efforts performed by the Siberian department on advancement of scientific research in the East of the country using the principle of large integrated programs (“Human Adaptation”, “the North”, “Rotations”, etc.) were approved. It was recommended to the Presidium of the SB AMS to concentrate special attention on fundamental studies of the human adaptation problem and regional pathology, especially so in the field of socio-hygienic, endocrinologic, immunological helioclimatic, physiologic, and biophysical aspects of human adaptation to the conditions of Siberia, the Far East and the Far North. In 1976, two new institutes were set up within the AMS Siberian branch, i.e., in Krasnoyarsk the Institute for Medical Problems of the North (Director Professor K. V. Orekhov) and in Novokuznetsk of Kemerovo oblast the Institute for Combined Problems of Hygiene and Occupational Diseases (headed by V. V. Bessonenko, Candidate of Medicine). In 1977, complex targeted research programs were set up “Work on Rotation” studying medical and biological problems of rotation-based work; “”Five-Year Plan of Health” addressing the optimization problems of the health care system of the city and district residents; “Sun—Climate-Human” focusing on human exposure to Sun activity, geomagnetic field of the earth, climate and weather and the development of scientifically founded preventive measures; “Economic Region” , “City” on the socio-hygienic problems of TIC (territorial industrial complex), of a large industrial center; “Human and Ocean” investigating various aspects of work physiology of sailors and fishermen of the Pacific, North, and Black Seas; “Zoanthroponoses and Adaptation” focusing on the problem of zoonotic diseases in Siberia, on the Far East and Far North; subprogram “BAM” dealing with problems of medical andbiological security for the builders of the Baikal-Amur Mainline, etc. Within the framework of these programs, international scientific cooperation was launched. By the end of 1979 the basic fundamental aspects of the adaptation on the organizational, population and socio-hygienic levels had been investigated, which resulted in the identification of special forms of human interaction with a set of the factors of Siberia and the Far North. This interaction involves psycho-emotional sphere, immune, endocrine and other homeostatic systems and leads to the formation of a new physiologic state named “polar metabolic type”. Later, on the basis of individual regional standards guidelines and specific ways and means for the prevention and correction of disadaptation, and adaptive process management principles have been developed. The main results and conclusions were successfully used and confirmed under conditions of the fly-in-fly-out operation. An in-depath analysis was performed of the indigenous population morbidity on the background of a significant change in their lifestyle. On August 13, 1979 the Central Committee of the Communist Party and the USSR Council of Ministers issued Decree No. 778 "On Further Development of the Medical Science in the Regions of Siberia and the Far East". On the Siberian Branch of the Academy of Medical Sciences were assigned the task of planning, coordination and forecasting scientific research conducted by medical institutions of Siberia and the Far East on the most important problems of medicine. On February 15, 1980, AMS Academician Yu. I. Borodin was elected the Chairman of the USSR SB AMS. to develop a long-term socio-hygienic, medical, and biological forecasts for the development of regions of Siberia and the Far East. In 1980, the USSR Siberian Branch of the Academy of Medical Sciences (Novosibirsk) set up "Medfizpribor", a special design and technological bureau with pilot production aimed at developing and manufacturing innovative medical and biological equipment to enable and accelerate the introduction of methodological and instrument development of Siberian scientists in the field of diagnosis, treatment and prevention of diseases. In Vladivostok, the Institute of Epidemiology, Microbiology was transferred from the RSFSR Ministry of Health to the Siberian Branch of the AMS. In 1981, in Novosibirsk, based on a part of the Research Institute for Clinical and Experimental Medicine the Research Institute for Clinical Immunology was set up (Director – the AMS Corresponding Member V. P. Lozovoi). In the same year the research Institute for Internal Medicine (Director Yu. P. Nikitin, the AMS Corresponding Member) was established, united with the Chair of Internal Medicine of the Novosibirsk Medical Institute. In Blagoveshchensk the research Institute for Physiology and Pathology of Respiration (Director M. T. Lutsehno, AMS corresponding member) was set up. In 1986 in Khabarovsk Institute of Motherhood and Childhood Protection of the SB AMS (Director A. K. Piotrovich, the AMS corresponding member) was opened. During these years, in parallel with the development of the Siberian Branch of the AMS, in Tomsk, on the basis of the affiliated branchs of USSR AMS clinical research centers (cardiological, oncological, mental health) which all had been headed before 1986 by A. I. Potapov, AMS Corresponding Member, an affiliated branch of the AMS Institute of Pharmacology and the affiliated branch of research Institute of Medical Genetics, with the support and assistance from the Tomsk Oblast Committee of the CPSU, the Tomsk AMS Research Center was established. In 1984 in Vladivostok, the USSR Ministry of Health transferred to the Siberian AMS Branch the Institute of Medical Climatology and Medical Rehabilitation (headed Ye. M. Ivanov, Professor), and in 1987 the RSFSR Ministry of Health transferred to SB AMS a group of Irkutsk institutes including the Institute of Epidemiology and Microbiology (Director V. I. Zlobin, Candidate of Sciences), Institute for Traumatology and Orthopedics (Director T. D. Zyrianova, Professor) and Angara Institute of Occupational Hygiene and Industrial Diseases (Director Yu.A. Maniashin, Candidate of Sciences). On the basis of these institutes, the East-Siberian Branch of the AMS was established, with S. I. Kolesnikov (Doctor of Medicine) as the Chairman. In 1988 All-Union Scientific Center of Surgery at the USSR Academy of Medical Sciences transferred its Siberian Division to the AMS East-Siberian and on its basis the Institute for Surgery(Irkutsk) (Director Yu. I. Morozov, Professor) was set up. In the same year in Irkutsk the Institute for Pediatrics (Director V. V. Podkamenev, Doctor of Medicine) was opened. On the basis of the Tyumen affiliated branch of the All-Union Cardiology Research Center of the USSR AMS the Institute of Clinical and Preventive Cardiology of the SB AMS (Director O. S. Antonov, Professor) was established. In Novosibirsk, on the basis of the department of biochemistry of ICEM (Institute of Cardiology and Experimental Medicine) , the Institute for Biochemistry (Director L. Ye. Panin, Corresponding Member of the USSR AMS.) was organized. Some institutes set up their laboratories, departments, scientific and practical (applied research) medical centers (surgeries), as a rule, interdepartmental, in Barnaul, Novosibirsk, Tyumen, Surgut, Belokurikha, Krasnoyarsk, Magadan, Yakutsk, Mirnyi, and Anadyr’. At this stage, the SB Branch of the AMS was widely introducing target-oriented approach to planning and implementation of research projects. Carrying out its basic organizational task of coordinating medical research in the east of the country, the Siberian Branch of the USSR Academy of Medical Sciences developed a regional section of the state program "Siberia" - the scientific and application program "Human Health in Siberia" including 6 main directions, i.e. to develop and implement methods for prevention (including identification of high-risk persons), early diagnostic, treatment and rehabilitation of patients with the most common noninfectious diseases among grownups and children of Siberia, the Far East and Far North. In 1984, the “Sibir” program was given the national status. As the program “Human Health in Siberia” now officially included the RSFSR Ministry of Health, it significantly expanded: in 1984 its interdepartmental level was approved (the program was headed by Chairman of SB of USSR AMS Yu. I. Borodin, AMS Academician, and N. T. Trubilin, RSFSR Minister of Health). Filial territorial programs “Health” in Norilsk, Novokuznetsk, Novosibirsk, Krasnoyarsk, and other cities of the region played a certain positive role in the health support of the population. Thus, in Norilsk the incidence of coronary disease and chronic liver diseases was reduced to a half. Along with the basic program “Human Health”, an active work was continued on large interregional applied research programs “Work on Rotation Basis”, “North”, and BAM”. The programs were mostly based on field studies. The results of fundamental research implemented as advanced developments and unique methods and techniques for diagnostics, treatment. and prevention are being tested on the basis of 13 clinics of the NRU (National Research University) of the USSR AMS SB. 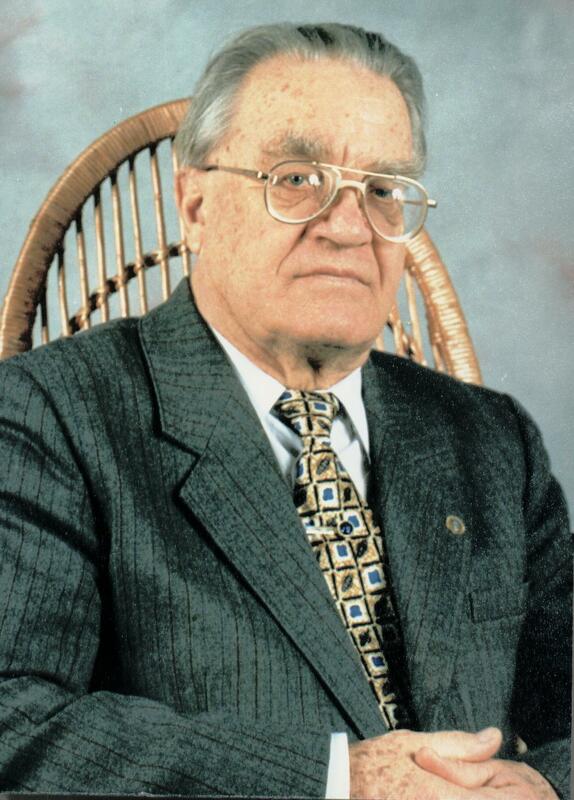 On June 6, 1990 in Moscow at the session of the General Meeting of the USSR AMS SB, V. A. Trufakin, the AMS Corresponding Member, was elected the Chairman of the Branch. The year 1990 started the third stage in the history of the Siberian Branch, due to the drastic changes in the country's social and economic situation. The main problem was survival and preservation of the scientific potential of the Branch. It was necessary to establish proprietary scientific and practical centers and to bring in the Branch already existing centers financed by ministries, departments, enterprises; to organize joint work with the administrations of the territories and their support of science, to attract and support young researchers; to reform the network of establishments and in organization of research. However, even in these difficult circumstances, Siberian Branch continues to carry out its primary task of expanding and deepening research on important regional issues. In 1991, the research Institute of Clinical and Experimental Lymphology (Director Yu. I. Borodin, Full Member of the USSR AMS) was set up in Novosibirsk. In the same year, the Siberian Branch of RAMS, the Tomsk Research Center of RAMS functionally subordinated a set of 5 institutes (Institute for Cardiology, Director R. S. Karpov, Full Member of RAMS; Institute for Pharmacology, Director Ye. D. Gol’dberg, Full Member of RAMS; Institute for Oncology, Director B. Y. Zyrianov, Full Member of RAMS; Institute for Mental Health, Director V. Ya. 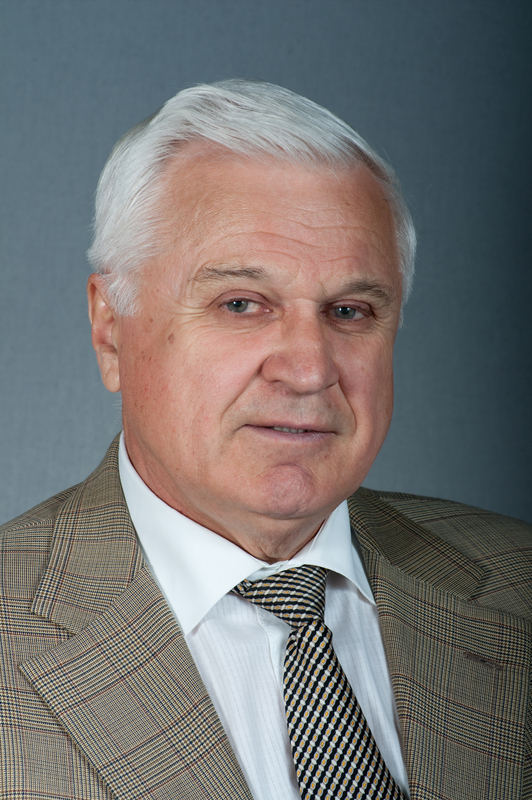 Semke, Full Member of RAMS; Institute for Medical Genetics, Director V. P. Puzyrev, Corresponding Member of RAMS) and one independent Laboratory for Experimental Biomedical Simulation (Director S. A. Kusmartsev, Candidate of Medicine). In Novosibirsk, the Institute of Clinical and Experimental Medicine was reorganized and split into four independent institutes: The Institute of General Pathology and Human Ecology (Director V. P. Kaznacheyev, Full Member of RAMS); the Institute for Molecular Pathology and Ecological Biochemistry (Director V. V. Liakhovich, Corresponding Member of RAMS); the Institute for Regional Pathology and Patomorphology (Director L. M. Niepomniashchikh, Professor); and the Institute for Medical and Biological Cybernetics (Director M. B. Shtark, Corresponding Member of RAMS). In 1994, the Department of the Socio-Hygienic Planning and Forecasting the Health of the Siberian Population was set up at the Presidium of the SB RAMS. In the same year the Branch took over the Center of Health Protection of Miners in Leninsk-Kuznetskii (Kemerovo oblast), in 1995 - Tyumen Center for Nutritional and Dietary Therapy, in 1996 it included the - Primorsky Research Center of Maternal and Child Health (Vladivostok), in 1997 - Omsk Research Center of Neuro- and Immune-rehabilitation, in 2000 Scientific Production Problem Laboratory for Reconstructive Cardiac and Vascular Surgery (with a clinical unit) in Kemerovo, Center of Orthopaedics and Medical Materials Science TSC (Tomsk Scientific Center), and Severskii Gastroenterological Center of TSC. In 1997—1999 The Branch was restructured in order to concentrate the resources on the priority directions of the medical science through the maintenance of the integrated system of research institutions of the SB RAMS and creation of organizational, legal, and economic conditions for the development of the competitive environment in the R&D market. Measures for the preservation of the research potential and adaptation of science to market economy involved the identification of basic scientific directions, concentration of studies on priority fields, restructuring the network of research institutions (integration of a number of research organizations or their transformation into departments). As a result of this restructuring the number of research institutions financed by the RAMS budget decreased from 29 to 17, they all received the certificates of the state accreditation as scientific organizations. This has been maintained research facilities and scientific staff of all the institutions all of them were given licenses on state accreditation of the research organization. This helped to preserve the research base and scientific workforce of all the institutes. In 2001, the Institute for Complex Problems of Hygiene and Occupational Diseases and the Institute for Regional Pathology and Pathomorphology separated from the Research Center of Clinical and Experimental Medicine of the SB RAMS and were registered as independent state institutions. In 2002, Tomsk Institute for Obstetrics, Gynecology and Perinatology of the SB RAMS TSC was established; two divisions of the SB RAMS - “Kuzbass Research Center” in Kemerovo and Far Eastern Research Center in Vladivostok were created providing coordination and organization of research of the SB RAMS in the region. Thirteen divisions of the SB RAMS were set up in Ulan-Ude, Chita, Vladivostok, and Barnaul in order to carry out fundamental and applied research in the regions of Siberia and the Far East. In 2008, the basic directions of research of NRU (national research university) of the Siberian Branch of RAMS were approved and new NRU names were officially adopted. . RC (research center) of medical ecology of ESRC (Eastern-Siberian Research Center) was renamed to Eastern-Siberian Research Center for Human Ecology of the SB RAMS. The research Institute of the Institute of Occupational Medicine and Human Ecology was transferred from the Research Center of Medical Ecology of ESRC to the Eastern-Siberian RC of Medical Ecology as its Angara affiliated branch. The Scientific Production Problem Laboratory for Reconstructive Cardiac and Vascular Surgery was transformed into the Research Institute of Complex Problems of Cardio-Vascular Diseases of SB RAMS; Yakut research center of SB RAMS was renamed to Yakut Research Center of Complex Medical Problems of SB RAMS. In 2011, a new SB RAMS Presidium was approved, L. I. Aftanas, Full Member of RAMS, was elected the Chairman of the SB RAMS. As of January 1, 2012, in the Siberian Branch of RAMS there were 26 Full Members of RAMS and 27 Corresponding Members of RAMS. The staff of 24 research organizations of the Branch was 6730 persons, of whom 2435 were research workers, including 431 Doctors and 909 Candidates of Science; in 21 academic clinics with the total bed fund of 3545 beds, there were 4295 persons of medical personnel including 16 Doctors and 263 Candidates of Medicine. In accordance with the Federal Law as of September 27, 2013, No. 253-FZ "On the Russian Academy of Sciences, Reorganization of National Academies of Science and Introduction of Changes into Some Legal Acts of the Russian Federation", national academies of science were reorganized. The Russian Academy of Medical Sciences was merged with the Russian Academy of Sciences. The members of the Russian Academy of Medical Sciences were equated to the members of the Russian Academy of Sciences. According to the Federal Law of September 27, 2013, No.253-FZ and to the Order of the Government of the Russian Federation of December 30, 2013, No. 2591-r, the research institutions within the Siberian Branch of the Russian Academy of Medical Sciences, were subordinated to the Federal Agency of Research Organizations (FARO of Russia). The name of the Federal state budgetary organization (FSBO) "Siberian Branch of the Russian Academy of Medical Sciences" was changed for the "federal state budgetary organization – “Siberian Branch of Medical Sciences” on the basis of the Decree of RF FARO as of November 6, 2014, No. 905. L. I. Aftanas, Full Member of RAS, was appointed the Chairman of FSBO “Siberian Branch of Medical Sciences”. The Siberian Branch of Medical Sciences (SB of medical sciences) is the establishment providing organizational, methodological, and information support for the activity of 23 medical research institutions subordinated to the FARO of Russia and located in the Siberian region. generalization and dissemination of the advanced national R&D experience and findings in the Russian Federation and abroad. The Presidium (Council of Directors) of the Siberian Branch of Medical Sciences has been set up as a deliberative body.